Welcome to Bird Paradise! If you have not had the opportunity to visit our store, you are in for a wonderful experience. 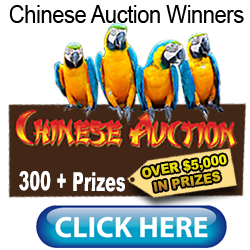 Within the walls of Bird Paradise awaits any bird and bird owner’s dream come true. There is little doubt that our store is a very large bird store, probably the largest in the world. There is no doubt that we have an unsurpassed selection of toys, cages, bulk food, playstands, etc. etc. However, those are not the qualities about which we are most proud. It gives me great pride to say that each and every staff member owns, loves and respects birds. Each member is well aware that not all birds are suitable for all family situations. We take the time to talk with our customers, listen to their needs and desires. Quite possibly a small conure is much better suited for a family with small children than the amazon parrot they had originally discussed. Cockatoos are some of the most cuddly, endearing parrots you will ever encounter. However, the household that lives in a small apartment and cannot dedicate several hours a day to the needs of these special animals, is best directed to another species. At Bird Paradise, we care about each and every feathered baby and want to be assured that he or she will enter a loving and dedicated home and receive the best of care. Bird Paradise is synonymous with education. An educated bird owner is empowered with the knowledge to give their new companion the proper care. After helping a customer decide which parrot is best suited for them, and if the bird is not yet ready to leave, we explain that their new companion needs regular visits in our Lounge. This gives the Avian Consultants at Bird Paradise the opportunity to educate the customer about proper diet, bathing, playstands, full-spectrum lighting, and behavior training. Visiting their new baby also gives the customer time to get acquainted and begin to build a relationship with their bird. Our relationship does not end when the baby goes home. We are always available to provide continuing education to each and every customer. 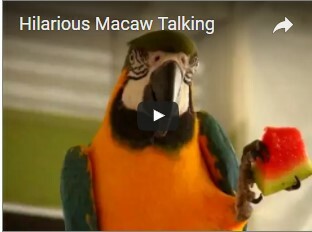 It doesn’t matter if the bird is a canary or a macaw. The welfare of that bird is most important to everyone at Bird Paradise. 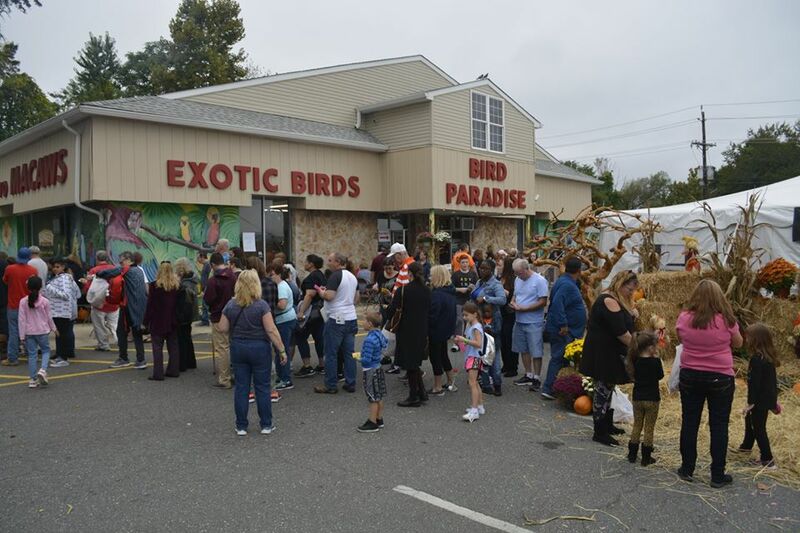 Bird Paradise provides free educational seminars to our customers. Our educational speakers have included Dr. Irene Pepperberg, Sally Blanchard, Dr. Branson Ritchie, Nikki Moustaki, Diane Grindol, Tani Robar, Barbara Heidenreich, Robin Shewokis and Maggie Wright. In June of 2006, we held a fund raiser for PDD research and raised over $12,000.00 for this most worthy cause. You see, from the moment you bring a companion parrot into your home, they begin to leave footprints on your heart. 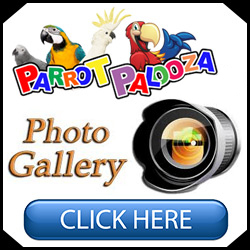 Hear what they have to say with their Bird Paradise reviews Click here.